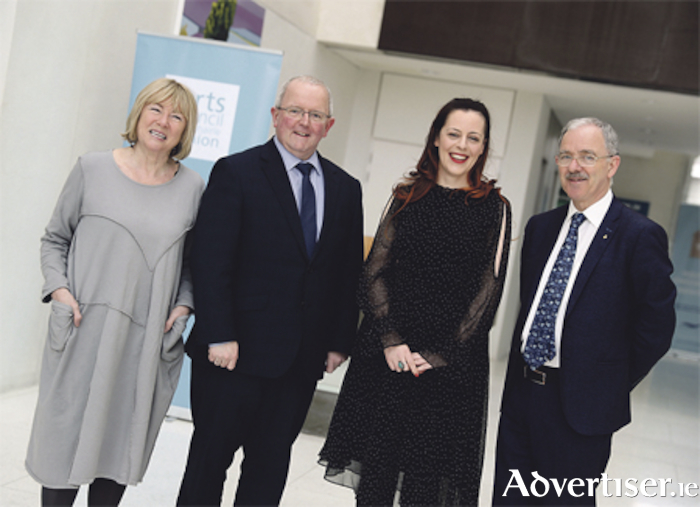 Poet Annemarie Ní Churreáin has been announced as the inaugural recipient of the John Broderick writer’s residency by Westmeath County Council in partnership with the Arts Council. A poet from north west Donegal, Ní Churreáin has received much acclaim for her debut publication - Bloodroot - described by Doireann Ní Ghríofa as “truly exceptional. Among the strongest debut collections of the decade”. She was also the receiver of the Next Generation Artist’s Award, presented by President Michael D Higgins in 2016. Athlone born John Broderick was an Irish novelist of international renown who on his death in 1989 left funds to the Arts Council for the “benefit, assistance and advancement of the arts in Athlone”. Ní Churreáin will take up residency in Athlone in Autumn 2018 and will draw from themes within Broderick’s works, particularly around the subject of ‘outsider’. Ní Churreáin plans to work with emerging writers and youth groups in the local community. She will also use the time to work on her new collection, Earthworks, drawing on local folklore and history, such as the Hill of Uisneach and other heritage and archaeological records. Chair of the Arts Council, Sheila Pratschke said: “The Arts Council’s role is to give our support to not just the making of art but to opening as many avenues as may be possible to enable the artist to find community, and for the community to enjoy and benefit from the artist’s work. The writer’s residency is worth €15,000 across a 10-week period to the recipient, who will be expected to spend 20 hours a week on the residency, including time for their own work and public engagement to better the arts in Athlone.